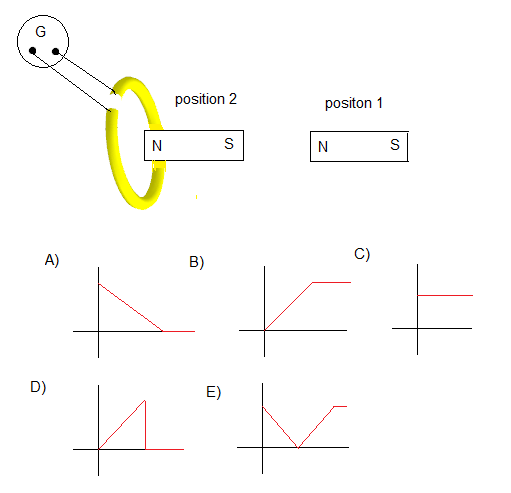 Solutions with detailed explanations to sat Physics questions on Electromagnetism. An electric motor is any device that transforms electrical energy into mechanical energy. E = L v B , where L is the length of the moving bar, B the magnetic field and v the velocity of the moving bar. Hence i increases if L or v or B or all are increased. Because of the changing magnetic flux as the permanent magnet moves, an emf is induced in the loop. According to Lenz's law the induced current is such that it will oppose the change producing it. While the magnet is moving from the left, it north pole approaches the loop. Hence the current in the loop should produce magnetic poles that oppose the motion of the magnetic field by creating a north pole to block the magnet. 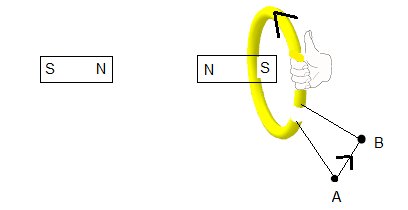 Knowing the magnetic poles of the loop, we use the right hand rule to find the direction of the current. (see figure below). Hence the current is from A to B. 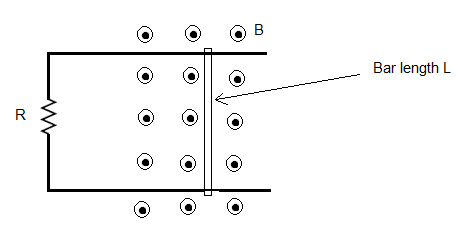 According to Lenz's law, the induced current produces a magnetic filed that opposes the changing magnetic field producing it. 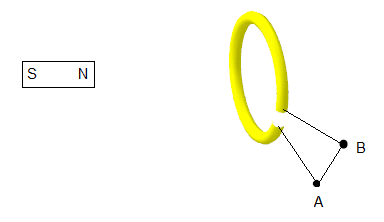 For example if the magnet is getting closer to the loop, the current produced in the loop must be such that its magnetic field pushes back the approaching magnet. 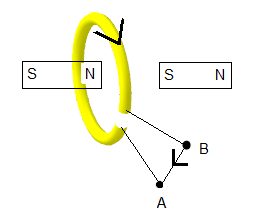 If the magnet is moving away from the loop, the magnetic field due to the induced current must attract the magnet. II) It obeys the conservation of energy, no energy is destroyed or created in a system where eletromagnetic induction is taking place. There is an exchange of energy between the different parts of the system but the total sum of all the energies is constant. 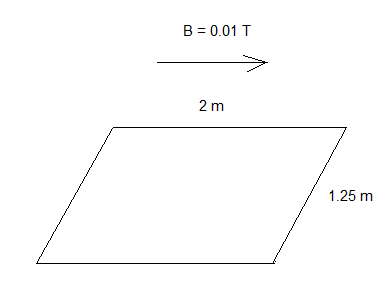 III) Lenz's law may be used to find the direction of the induced current.